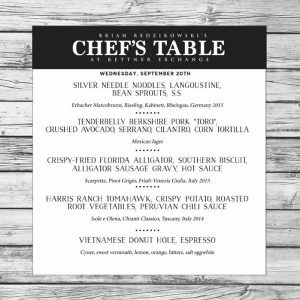 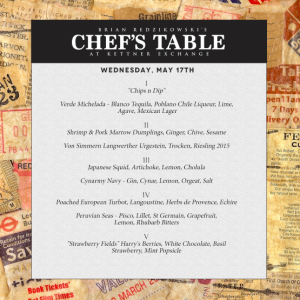 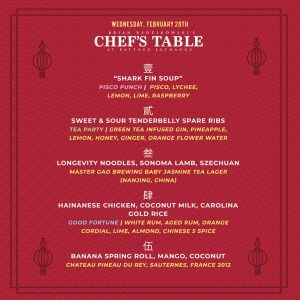 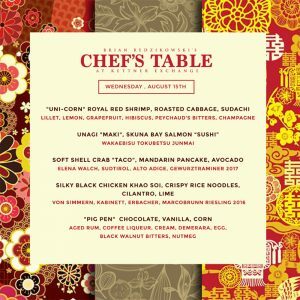 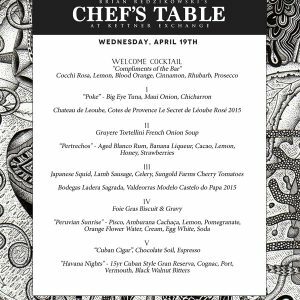 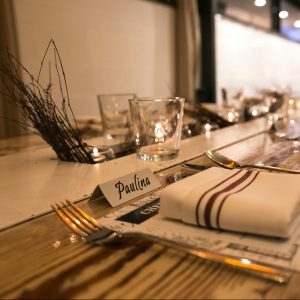 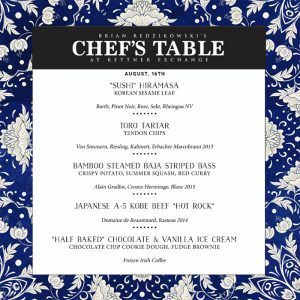 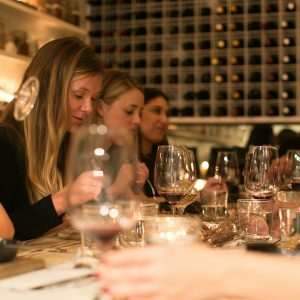 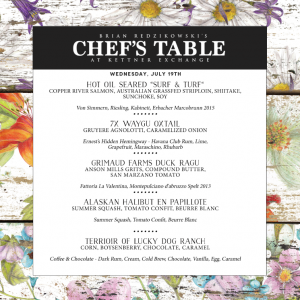 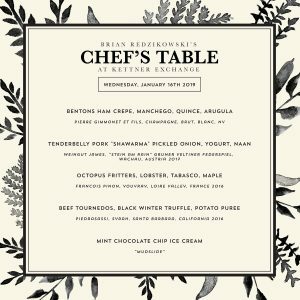 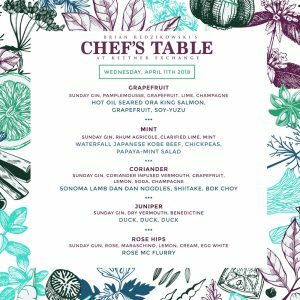 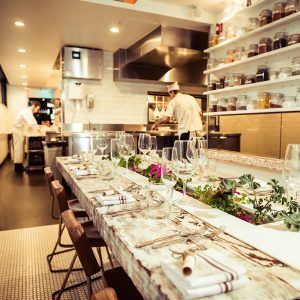 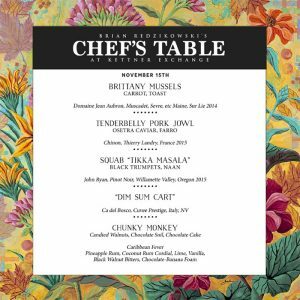 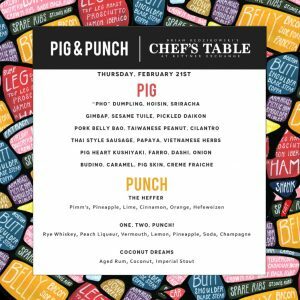 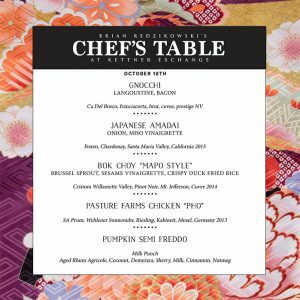 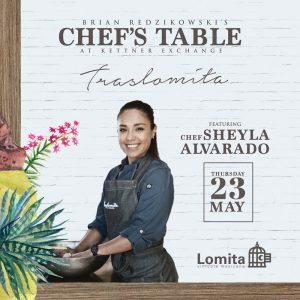 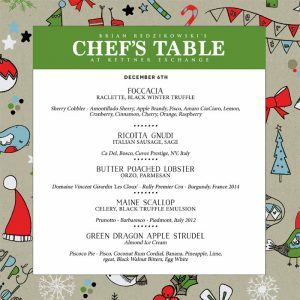 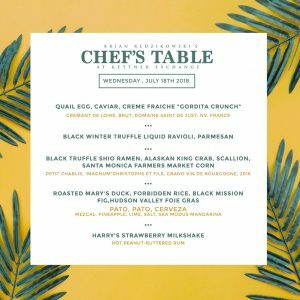 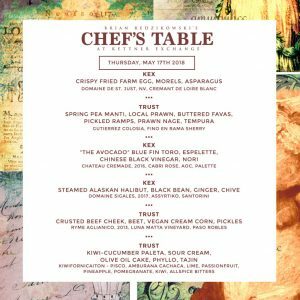 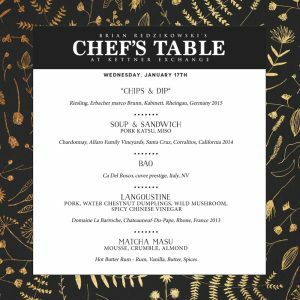 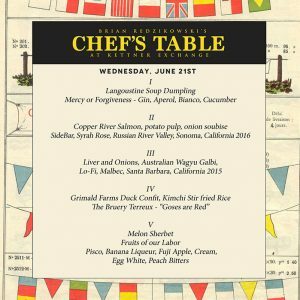 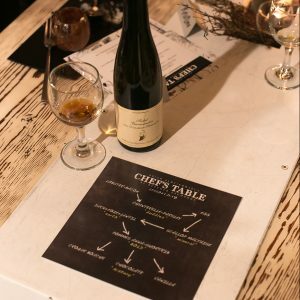 Join Executive Chef Brian Redzikowski at his hidden chef’s table in the Kettner Exchange kitchen, for an intimate 5 course dinner and wine pairing. 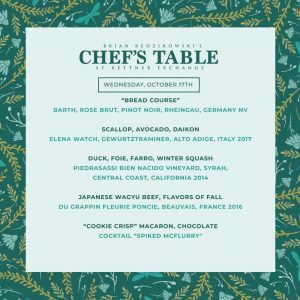 Event occurs monthly with limited seating. 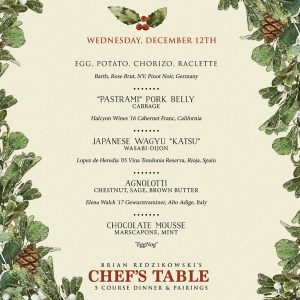 Please book in advance as seats will sell out.